Binary Options offer a way to speculate on financial market with limited risk. 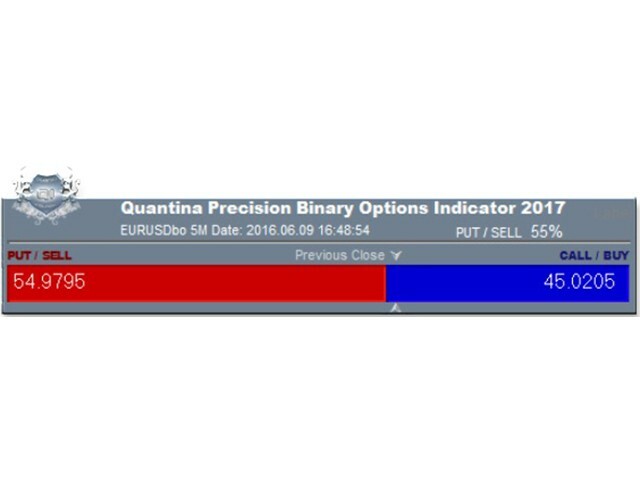 Accuracy - Quantina Precision Binary Options Indicator can measure the actual bullish and bearish trends and convert them to a highly accurate (4 digits) percentage value. 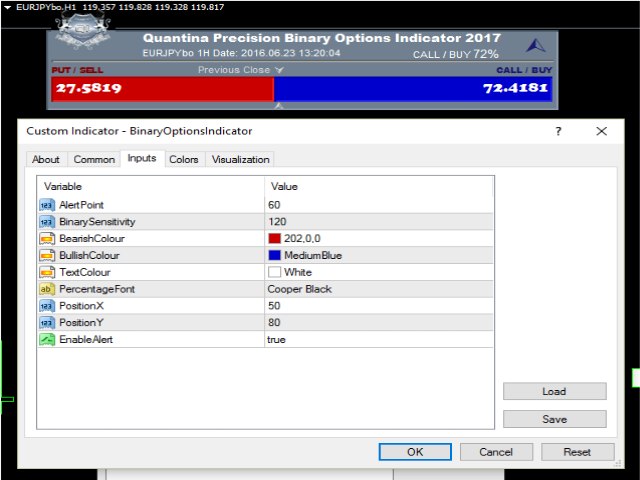 Compatibility - compatible with the latest version (build 970) of Meta Trader 4 terminal. Any assets - working in seamless speed with any currency pair on any timeframe. 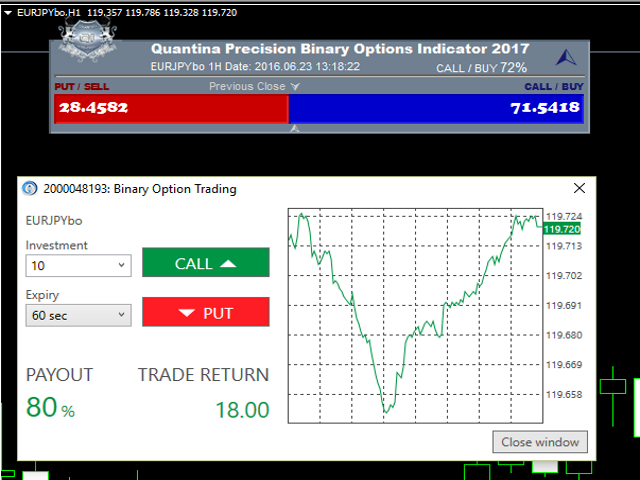 Not just Binary Options - Quantina Precision Binary Options Indicator can be used as Forex currency meter. Every Timeframe - running on M1, M5, M15, M30, H1, H4, D1 timeframes. Alert Point: 60 - top of the right hand corner of the panel you will see a red down arrow if the Bearish (sell) percent over 60%. A blue up arrow is shown if the Bullish (buy) percent is over 60%. Binary Sensitivity: 120 - the value can be between 1-1000. A lower number indicates stronger sensitivity of price movements while higher number could show up a longer term trend. PositionY, PositionY - coordinates of the panel shown on a chart.